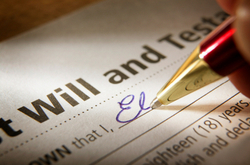 Estate planning encompasses many different elements. My first job as an Estate Planning/Asset Protection attorney is to make sure that what you have worked so hard to accumulate during your lifetime will be protected from creditors and predators so when you pass. those assets will be there for your heirs. The next step is to craft documents that pass your assets to your heirs in a way that avoids the cost and time delays of the probate process, and can even protect the inheritance you leave your loved ones from their creditors, predators, divorce and bankruptcy. Your Estate Plan must also provide for how you want your estate to be managed (and by whom) in the event of your incapacity. This is called the “Hope Plan”. You hope the people you want will get your stuff, and that your family will take care of you if you are incapacitated. With the Hope Plan, a Guardianship (for those incapacitated) or Intestate Proceedings (for those deceased) must be filed in the Probate Court. The State of Illinois is now in control of your stuff and the State decides who get it – and it most likely wont be the way you would have wanted it distributed. Probate costs and attorney’s fees will be thousands of dollars and most likely exceed what the cost of planning would have been. Also, Probate can take several months, meaning your loved ones are without the assets you wanted them to have for a minimum of 9 months. And your loved ones must suffer through this exhausting process at this difficult time. Almost every adult needs a plan to choose health care decision makers, people to manage financial matters during severe illness, and how assets will be distributed after death. Very wealthy people have different issues than people with more modest assets, but less wealth does not mean that a person has fewer planning needs. Complex family relationships often require detailed planning regardless of a person’s wealth. Our attorneys have planned estates to reduce or avoid taxes, protect disabled beneficiaries, protect assets from business liability and healthcare expenses, and plan next generation family business ownership transitions. Our attorneys help people cope with overwhelming legal, financial, and relational challenges that often accompany serious illness and death. We help our clients wrangle finances and Medicaid applications to help them qualify for critical nursing home and home healthcare services.